Groove Etc, located on S Broadway, is excited about the community. 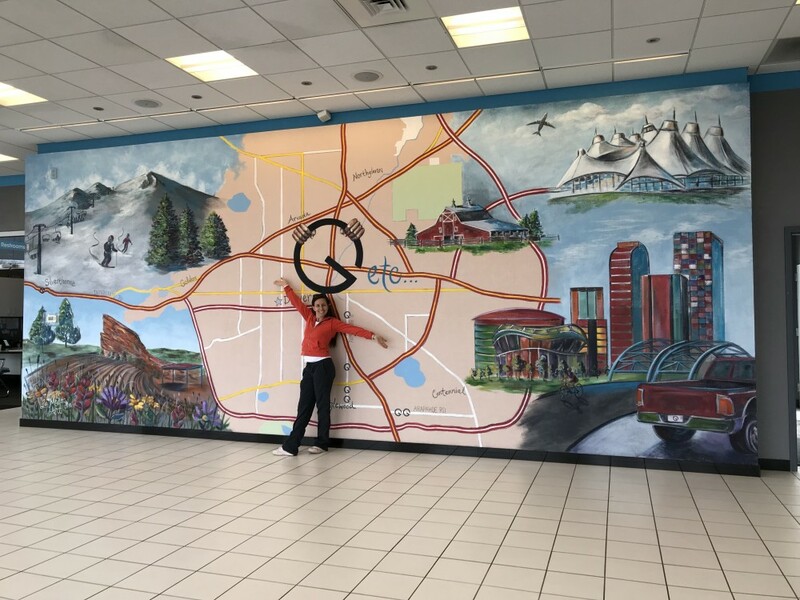 They hired me to create a colorful mural that depicts where their cars take people. To the mountains, city, airport and beyond. 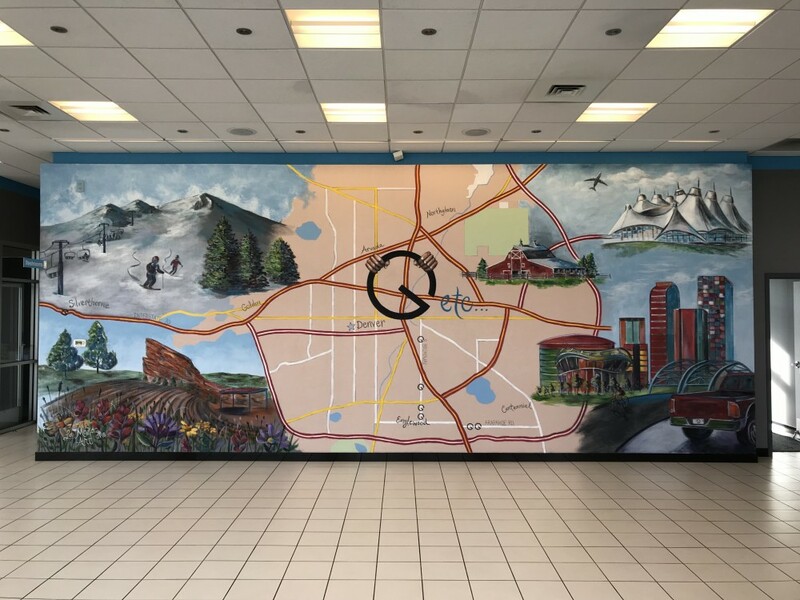 Their logo can be found in the middle of this mural. They hope people will take selfies in front of the mural.